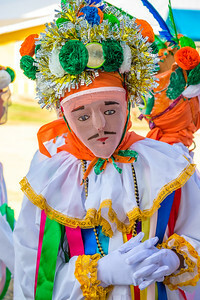 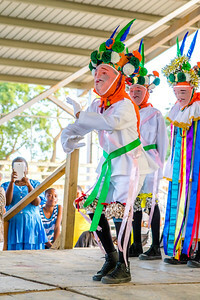 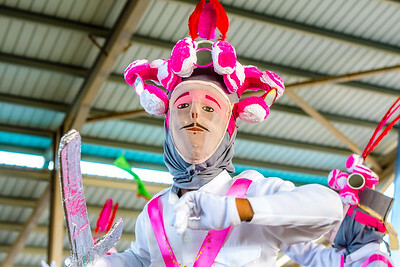 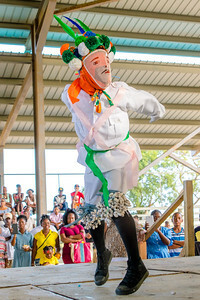 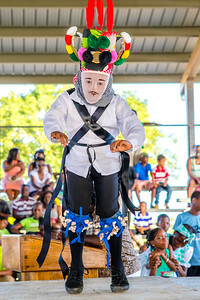 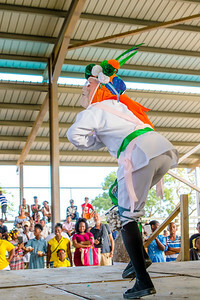 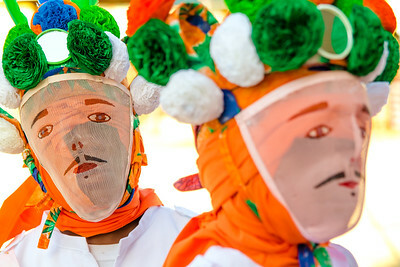 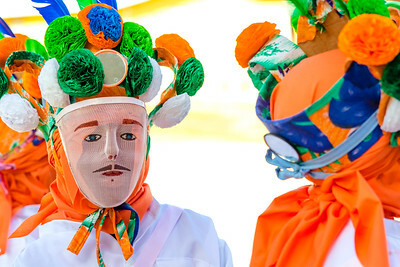 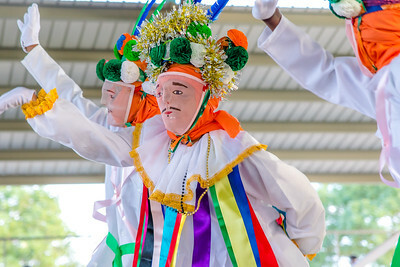 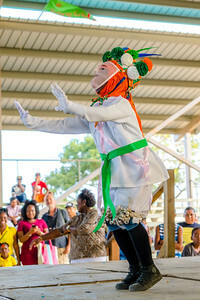 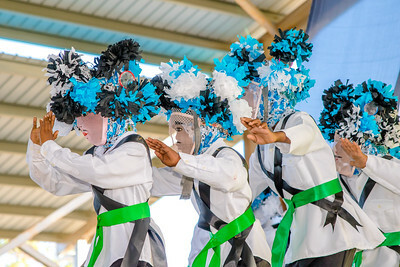 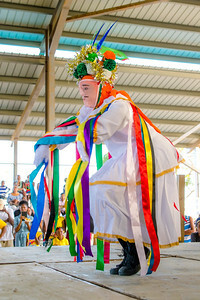 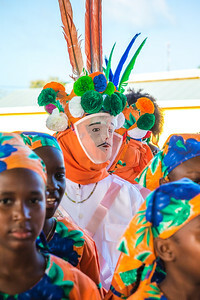 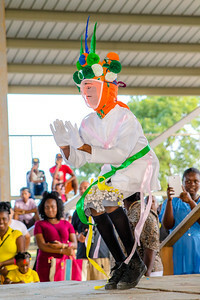 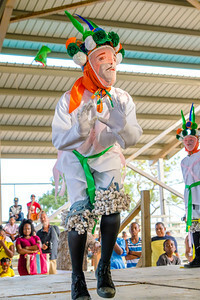 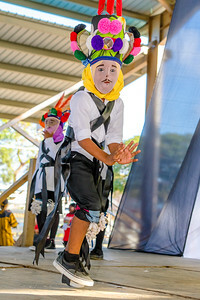 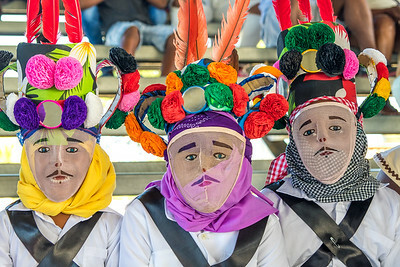 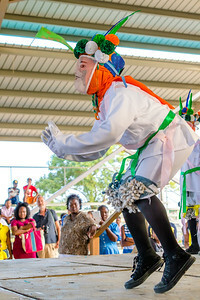 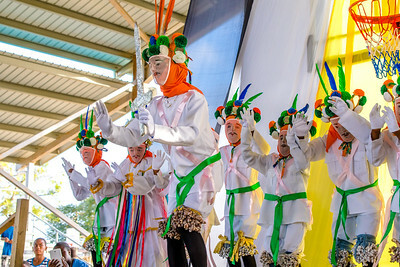 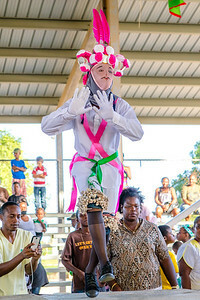 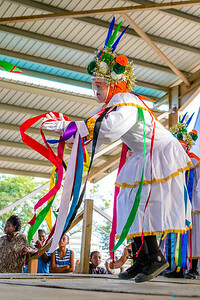 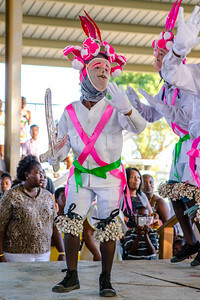 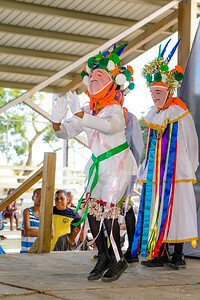 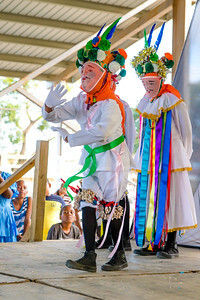 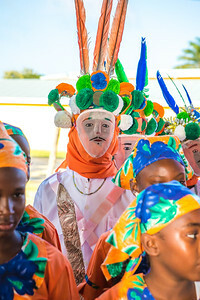 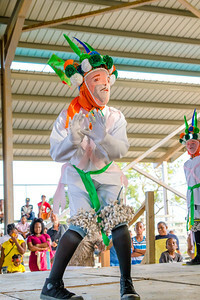 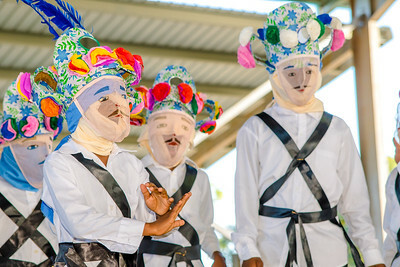 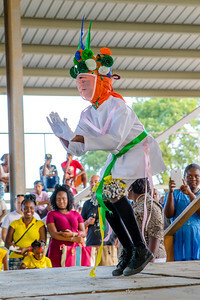 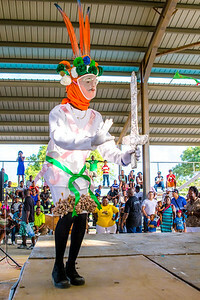 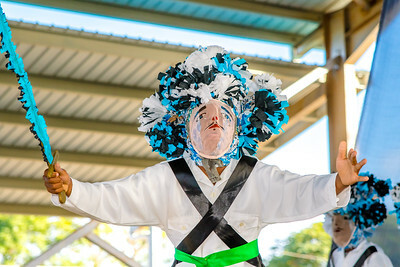 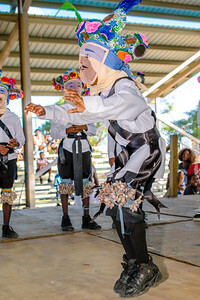 Photos of the Garifuna people, culture and celebration in Belize. 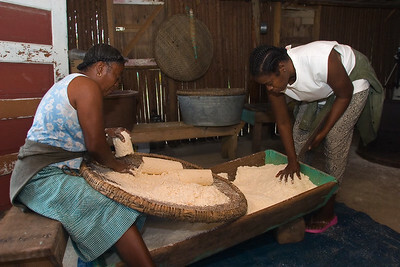 Sifting ("ahibiha" in garifuna) dry cassava on a "hibisi" (sifter) before it is to be baked. 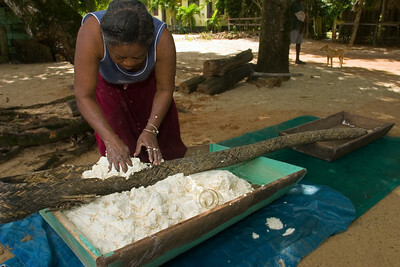 Stuffing the ruguma (or wowla) with grated cassava. 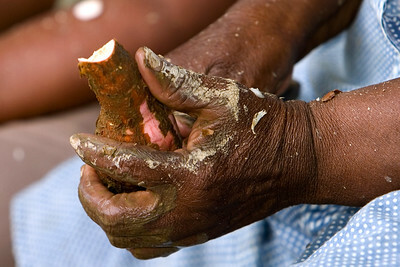 This is to drain the cassava of its juice which is poisonous. 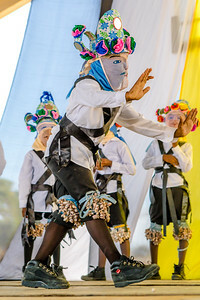 The root cannot be consumed raw, since it contains free and bound cyanogenic glucosides which are converted to cyanide in the presence of linamarase, a naturally occurring enzyme in cassava. 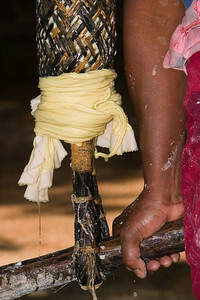 The ruguma (or wowla) full of grated cassava is hung and a stick put through the loop at the bottom so that one can sit on the stick. 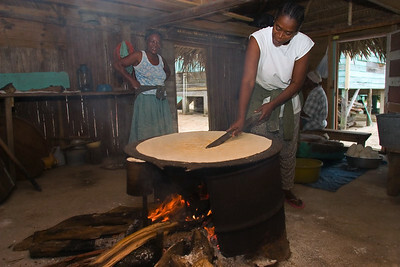 The weight on the ruguma squeezes the grated cassava and the poisonous juice is drained, leaving the grated cassava dry so it can be sifted and baked to make cassava bread.